“What we’ve learned is that we can get an objective metric of patient performance with the use of these modern technological tools,” said Jorge Nieva, one of the authors of the research from the University of Southern California. He said the technology could in effect plug patients into the “internet of things”, referring to home goods or devices that have an online connection. “We’ve all got our home sprinkler systems and our thermostats, all connected to the internet – there’s no reason that our patients shouldn’t also be connected to the internet and have the potential to have monitoring and smart interventions, based on their performance and functioning,” Nieva said. Cancer researchers in particular have gravitated toward fitness trackers as a way to objectively measure patients’ quality of life. As of December 2015, nearly 300 clinical trials incorporated fitness trackers to collect personal data, according to Bloomberg. The new trial observed 65 people with solid tumors undergoing difficult courses of chemotherapy with drugs likely to cause severe side effects, such as nausea and vomiting. Researchers measured patients’ physical activity from 10am to 7pm for 60 days using a Microsoft fitness band, then collected their data from smartphone apps. Researchers captured data from 41 people, or about two-thirds of patients. Patients ended up wearing the fitness trackers for roughly two-thirds of the study days. High-activity patients and low-activity patients took about the same numbers of steps each day, 2,564 steps and 2,261 steps respectively. Only nine out of 41 patients measured got more than 60 hours of non-sedentary activity, but those patients had “significantly” fewer unexpected hospitalisations. Active patients, Nieva said, were getting up, cooking, or cleaning for more than an hour every three days, and were less likely to have any adverse events. “We found that those patients had a much lower risk of unexpected adverse events, hospitalisations, ER visits,” said Nieva. Patients with severe chemotherapy side effects often visit the hospital for dehydration or pain, he said. “It’s exciting that simple technology has the potential to positively impact the quality of life and survival rates of patients undergoing chemotherapy,” said Jane Maher, chief medical officer at Macmillan Cancer Support. Cancer researchers are now studying whether fitness trackers can be tools to measure a patient’s quality of life. 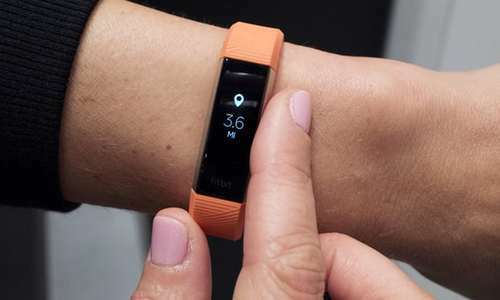 Scientists at Johns Hopkins University, Dana-Farber Cancer Institute and MD Anderson Cancer Center have all collected data from Fitbit’s scientific product Fitabase, according to Wired. In the future, experts hope to be able to monitor a patient’s level of physical activity in real time, the same as the patient might but remotely, via the fitness tracker on their wrist. Research using fitness trackers has looked at breast cancer survivors’ fitness levels compared with cognitive decline; how movement can help patients avoid readmission after surgery; and whether multiple myeloma patients are getting enough sleep. Fitness trackers have also been criticized, however. As of 2017, Fitbit was involved in a class action lawsuit alleging dangerous flaws in its heart-rate tracking technology. The products are too new for long-term studies, and some argue they do little to encourage long-term fitness.